Parikia. 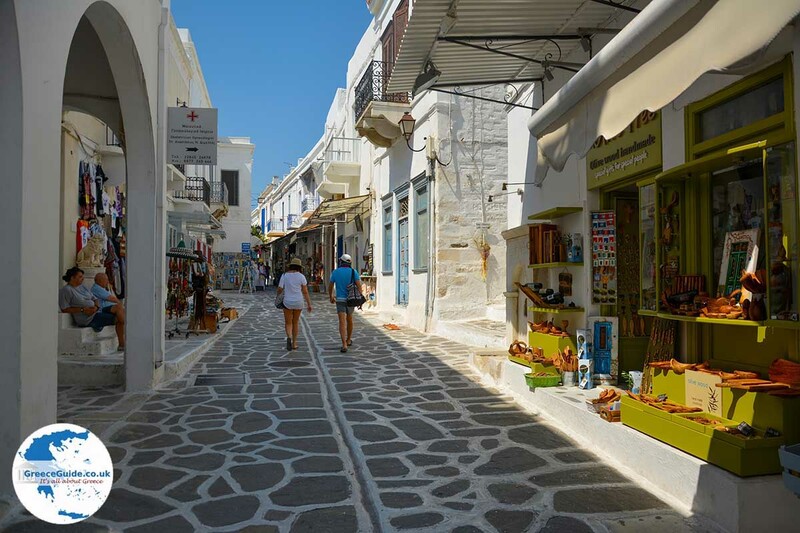 Parikia is the capital and port of the Greek island of Paros. 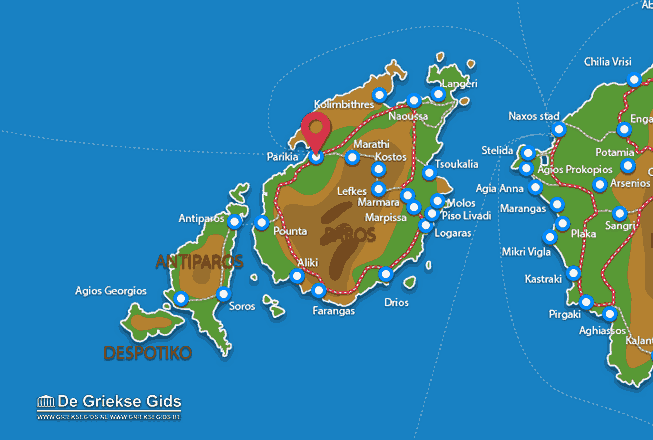 This town is located in the northwest of the island and has about 5,000 inhabitants. 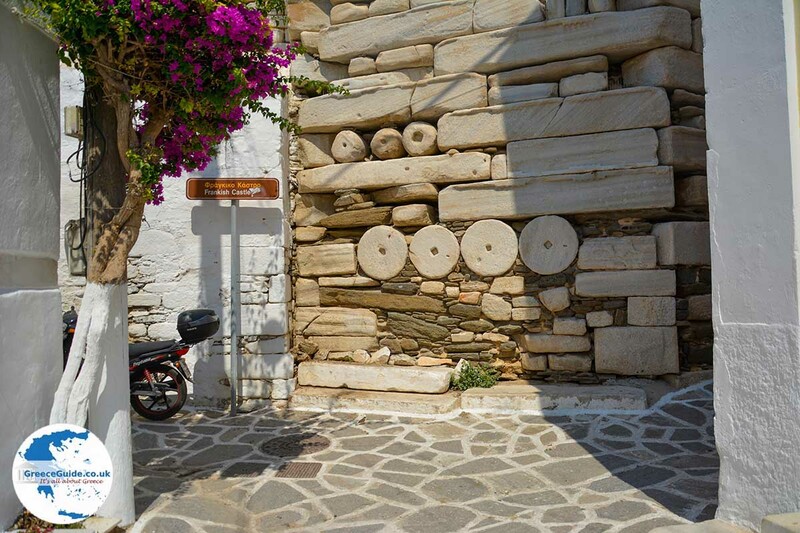 Parikia is a quaint town, with a rich history. In the times of ancient Greece, it was a prosperous locality. Everywhere you can detect remnants of antiquity. 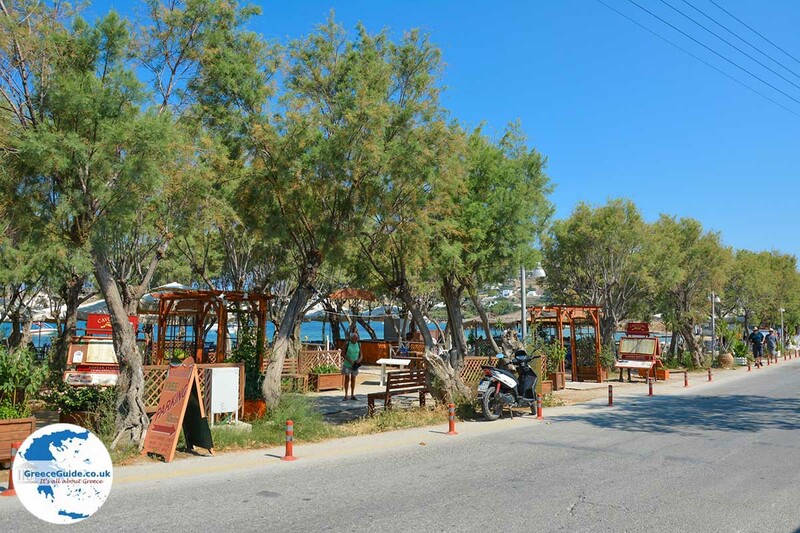 When you arrive by boat in Parikia you can see the striking white houses on and around the slopes of a low hill. 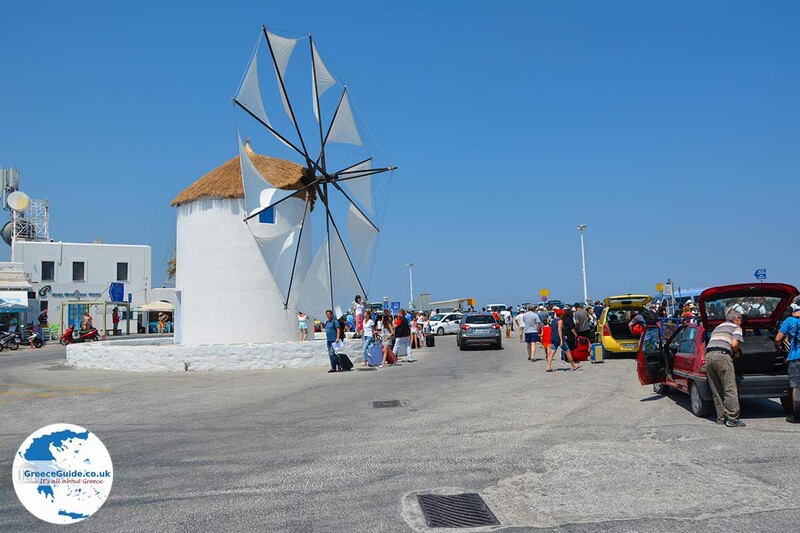 At the harbor is the famous windmill and you’ll likely see dozens of fishing boats and other boats. 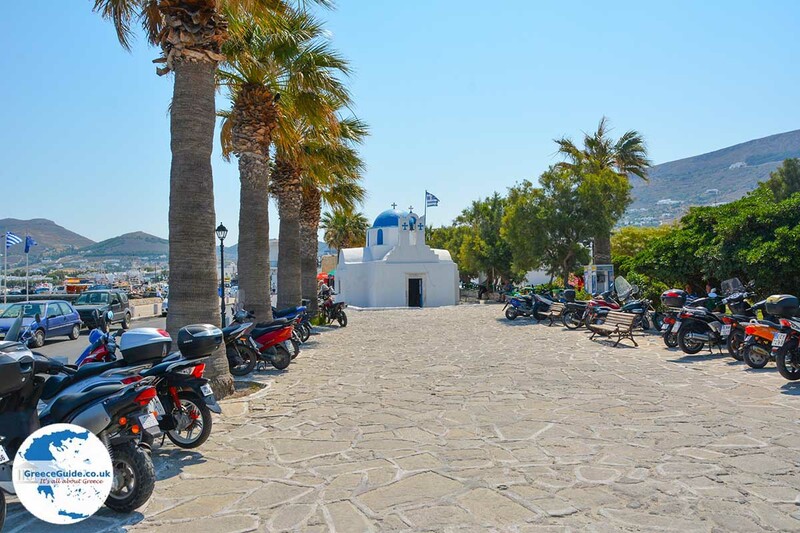 The town center is situated at the highest point, on the spot of the ancient city. Here is an old castle and the church of Christ on top of the hill. This church was built in the 13th century. The church of Mary Presentation and the foundations of the ancient temple of Dimitra, where the main church of Aghios Konstantinos was built, are located here too. 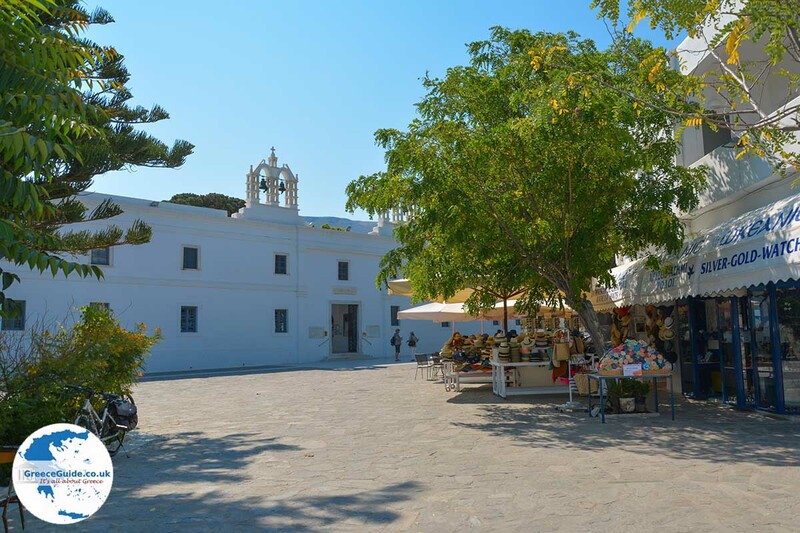 In the surroundings of the castle are white houses decorated with flowers. 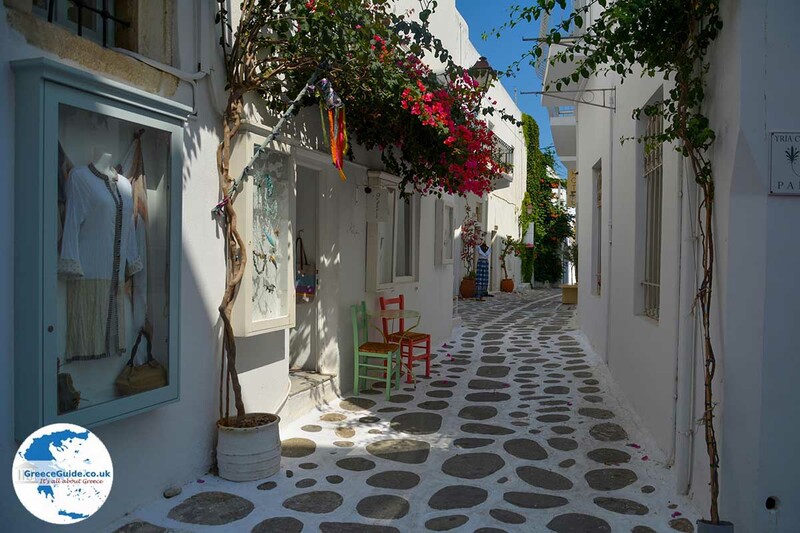 The narrow, cobbled streets, accented with beautiful arches, are a pleasure to walk. Everywhere you’ll see shops, cafes and taverns. 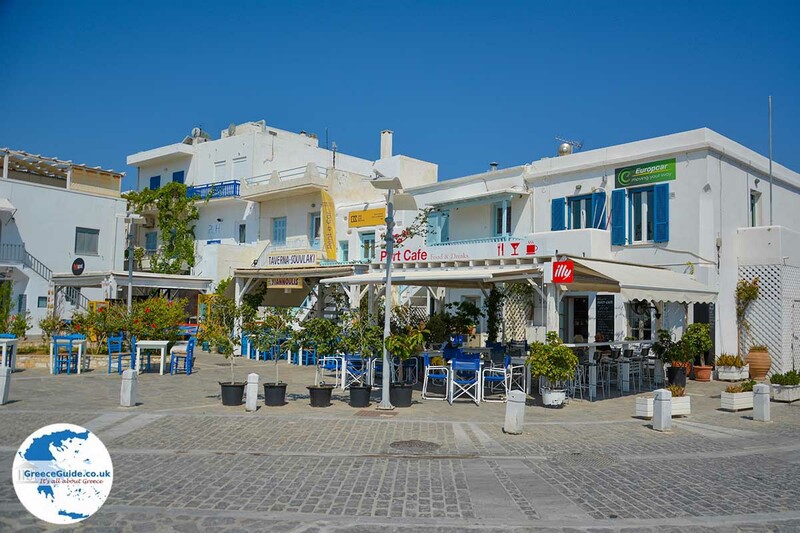 Most bars and restaurants are at the port or near the beaches of the town. People who love entertainment will have fun here in its pubs and clubs. 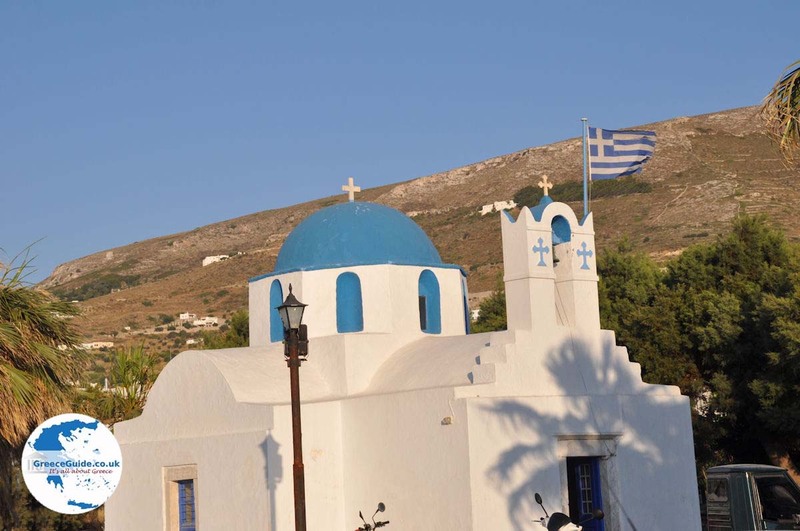 The most important monument of Parikia is the church of the Holy Mother Katapoliani (or Ekatontapiliani, which literally means a hundred doors) built in the 6th century by the Byzantine Emperor Justinian atop of the ruins of a Roman gymnasium. The nearest beach is Livadia, and a little further you can find the beaches Kaminia, Krios and Aghios Fokas. 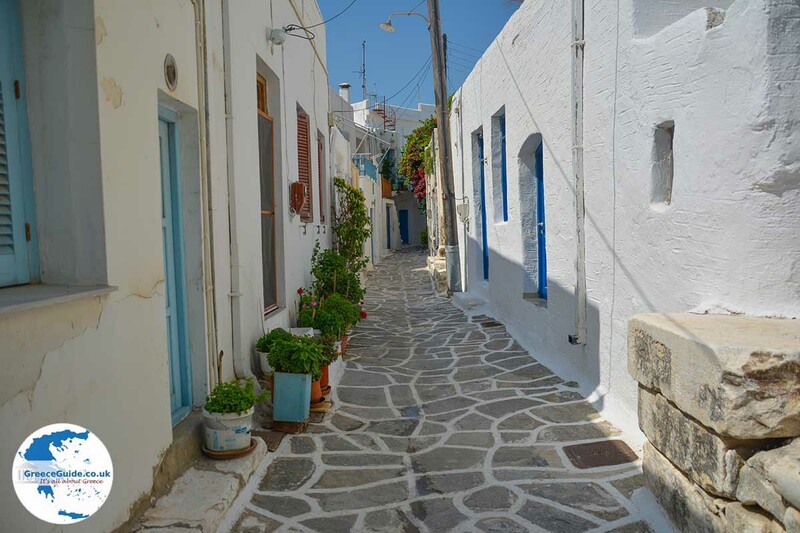 Paros: Where on the map is Parikia located?